While your kids may not understand this quite yet, it’s important for them to reach their daily value requirements. As parents, it’s up to you to help them reach that goal by setting an example and providing colorful, nutritious and simple meals that the whole family can enjoy together. Here are the top six ways to sneak those greens into the diet—trust me, your kids will be on board! Make Cooking Fun: By involving the kids in the kitchen, you let them connect with the food and get excited to taste their yummy creations. You can try singing some fun songs about health. Get your kids an apron and let them assist you with washing the greens and seasoning the proteins. Yet, leave the cutting to the adults—better safe than sorry! Play A Game: Kids love trivia. Get them revved up to try your kale lasagna by providing them with 20 fun facts about the major superfood. Or, play a matching game during meal prep. Each time the kids match a picture to a name, they get a gold star and the privilege of trying the green dish first! Liquefy Them: Mask the taste by tossing veggies in the blender with milk or Greek yogurt, along with some fresh fruit, nuts or seeds, such as chia or flax. However, be wary of portion control! Choose one or two fruits, one seed or nut, one starchy veggie—think carrot and beet—and one base. The green veggies are unlimited! Create A Reward System: Kids love prizes, be it stickers, extra TV time or an extra square of dark chocolate for dessert. Start keeping track of their accomplishments each time they eat a serving of vegetables. My favorite: the sticker system. After each set of 25 stickers, reward your child with an extra TV show, a new computer game or a new outfit for a doll. Set A Good Example: Remember those Psychology 101 college courses on cognitive learning theories? Does the Bandura bobo doll experiment ring a bell? People learn through observation and imitation, especially younger kids. Eating fresh veggies at dinner, and maybe even smiling, will send the message that green vegetables are tasty and good for you! You also cannot expect a child to eat greens if you don’t join in on the fun. Mask The Taste: Throwing broccoli, asparagus and red peppers into whole wheat pasta dishes, or making a cauliflower crust for pizza dough with a veggie medley topping are two great ways to give your comfort foods an upgrade and get your daily dose in. Veggies are perfect for stirfries, lasagnas, mac n’ cheese with low-fat cheese, rich and hearty soups, and as an alternative to a burger (mushroom burger, anyone?). Chances are, if there’s a hint of a resemblance to the original, it’ll do. 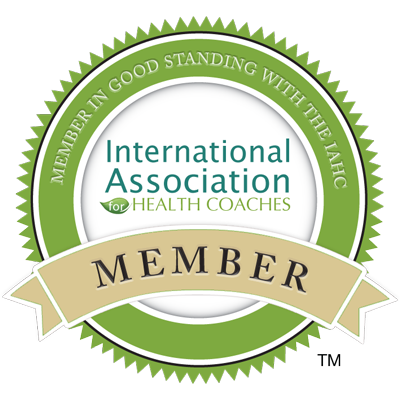 Isadora Baum is a certified health coach trained in nutrition and holistic wellness. She helps people transform through food, exercise and spiritual practice in order to feel their healthiest and happiest selves.